Diana Albrecht, Kathryn Boren and Lauren Herfindahl. Photos: Liza Voll. I never got a chance to treat Boston Ballet's The Nutcracker in depth this year - but that doesn't mean I didn't enjoy my third trip through the wonderland designed by Robert Perdziola for Mikko Nissinen's recent reboot of this holiday classic (which you can still catch through New Year's Eve). Once more I was dazzled by the transformation of Clara's Christmas tree into a glittering pyramid of ornaments, and again I thrilled to the Snow King and Queen's elegant pas de deux through a chastely glowing grove of birches. I have to admit that once more, however, I also found the opening scene a bit diffuse (once the party at Clara's gets going, so does the show), and I still chafed at the oddly rendered Spanish dance, and yearned for generally more variety in the steps of the divertissements of the second half. Still, these quibbles may simply be what strike a critic the third time through a classic, and certainly the cast the Ballet fielded on the night I attended was a brilliant one indeed. I was particularly glad to see Paulo Arrais return as the Nutcracker Prince, after a year's absence from the company; his dancing has a darting passion that's unique at the Ballet. His Clara was the poised and charming Eliza French (who won us over last year as well), and his Sugar Plum Fairy the athletic Ashley Ellis, who came into her own in the delicate footwork of her famous solo. Yury Yanowsky was this year's Drosselmeier, and shaded the role toward a slightly darker - and more dashing - eccentricity than usual. Meanwhile Sarah Wroth and Bradley Schlagheck were their dependably detailed selves as Clara's parents, and newcomer Noah Parets made the most of his tantrums as Fritz. Elsewhere at the party, Ricardo Santos made an intriguingly delicate Harlequin, and Ji Young Chae a convincingly mechanical Ballerina - and once more it was Paul Craig capering with gusto in the oversized bear suit. Later Lia Cirio and Lasha Khozashvili again triumphed in Nissinen's most transporting stretch of choreography as the gracefully refined Snow King and Queen, and other high points of the production likewise remained firmly in place: Sabi Varga and Kathleen Breen Combes were sinuous perfection in the Arabian dance, Jeffrey Cirio seemed to reach the stratosphere in his leaps for the Russian dance, and Misa Kuranaga was her usual delicately perfect self as the Dew Drop Fairy. 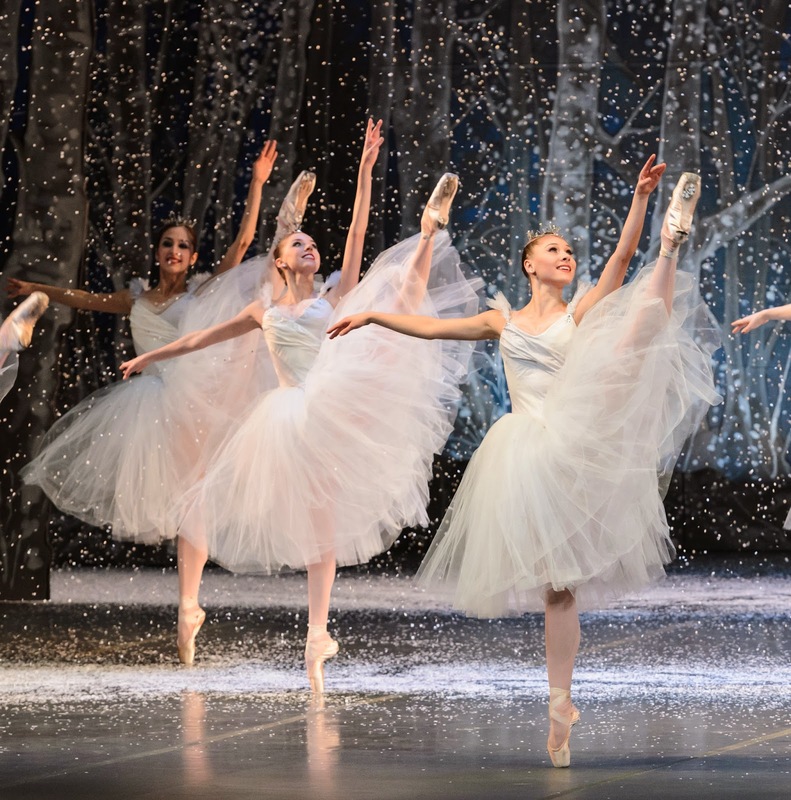 I know as a self-announced sophisticate, I'm supposed to have tired of The Nutcracker long ago. But I'm afraid that somehow I haven't; instead it's a reliable highlight of my holiday season. In fact I'm already looking forward to next year's edition!